Today's plan was to visit MIT campus and dorms. We parked in front of 77 Mass Ave and walked in a random direction and eventually encountered East Campus! The buildings look OK and there's a nice spot of grass in the middle to lie down and do hw or stuffs (when the weather is nice, of course). From there, I chose another direction and we found the back of Stata center! It looks just as weird as the front does. We discreetly slip through the back and my parents found a nice place to sit while I wandered around and looked at all the cool posters of DARPA Challenge and super old school LISP machines. After finally figuring out how to work the pressure-powered stapler that we borrowed from a family friend, my parents finished setting up all the chair rails. We then went to Minado for lunch, where I stuffed myself with lots of sushi @_@ We then went to Home Depot to buy tiles for our kitchen and molding for the guest bathroom. However, there wasn't enough of the tile design that we wanted at that Home Depot, so my dad dropped us off at home and went to three other stores. Then I chilled for the rest of the night. There most definitely is no better way to celebrate the end of first trimester than with Thanksgiving break! After PUMaC, I was happily looking forward to break, praying that the last two test-ridden days of the trimester would fly by. Well, the last two days of hell went by, and here we are! BRAKE TIEM! Wednesday afternoon was mostly prep for Thursday's party. I made sure I had all the materials for my quiche. I had bought the crust and light cream on Sunday, but made one more trip today to pick up the cheeses and the onion. Unfortunately, when I was looking at the frozen pie crusts, I realized I bought the wrong kind of pastry crust. Fortunately, it was not a bad mistake. Thursday was the day of the party. It was an annual event among my family friends. Usually, we don't host the party, but since I'm moving to MA, we would have one last get-together. After setting up the hot-pot, washing all the veggies, and tidying the place a bit, our guests came! They all brought delicious desserts, including a chocolate cake, apple pie, and pumpkin pie. Because we couldn't fit twenty people at the dining table, the kids ate first. I had a little bit of turkey, some mashed potatoes, and a piece of pizza! During dinner, we all gave thanks for about five seconds each, so I thanked the AAST math team (my random number generator picked it XD). (2) Mr. Holbrook: There is no more important figure at the Academies than Holbrook-sama, the coach of the AAST Math Team. Ever since I met him on the first day of BCA Math Camp, he has given me endless opportunities to grow mathematically. He gave me plenty of materials to take home, including two USAMO/IMO packets, In Polya's Footsteps, The Art and Craft of Problem Solving, and of course, the two volumes of Art of Problem Solving (which I had already purchased, but oh well). He has supported me through my four years at the Academies and encouraged me to train and compete with the best of my grade. He also gave me many chances to represent the school at many competitions, including Duke, Princeton, HMMT, Stanford, and ARML. As one of his most prized shinobi, he has let me become the captain of the math team =] Even though we disagree on a few things and that I did not turn out to be his ideal shinobi, I am grateful of his support and guidance during my four years at the Academies. On Friday, I woke up and sat around for a while. Then my dad took me to the mall (bad idea) to see what kind of sales there were. I got a sweater from Aeropoatale, but nothing from Apple. -sad face- But I did get to try vim maximized on the 27" iMac! 2560x1440 pixels of glory… Anyway. Since one of my family friends was hosting a party tonight, I wanted to do something special, so I made a quiche. Unfortunately, I lost the recipe, so I had to look it up on my dad's phone via EDGE. D: I made everything, put it into the oven, and waited…and waited…and waited for about an hour until it was done. :O Then, we had to depart. After that, we played more Wii (Kevin and Kelley brought theirs because the hostess doesn't have one). Peoples got bored of it again ._. so they played Palace. Luckily, there was a working internets so I could amuse myself :) I read the latest Naruto chapter :D (OMG HOW COULD I FORGET THAT) Then Kelley was trying to get Chicken Invaders, but failed, so I had to torrent + install + crack it for him. Why am I always the math/tech guru D: We played Chicken Invaders 2 for a while, and I got to Level 60! :O Then I watched the parents play zhaopengyou for the rest of the night. Saturday was pretty routine. I did more USACO and physics. My dad let me drive to Micro Center and I bought a battery for my laptop :D Oh, the joy of refurbishing your [4 year old] computer. Then I went home and life became more routine. Moral of the story? Break is boring without the relevant friends and relevant training materials. Our Sun Fire! with dual 750GB goodness! The Fall Play, in which Mark-sempai performed! Unnecessary celebration of Duke victory that covered our lockers. Typical day in physics. Yes, Kamran is riding on top of Fahmid. For now, I just have the questions uploaded. Maybe I'll actually blog about it when I'm not busy. 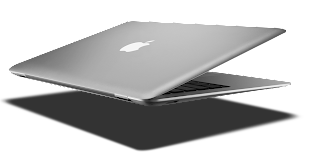 10 MacBook Airs: Because I knew that there would be massive death at the competition (especially since the china girls math olympians are going), as a joke I said that if I got first, I would buy TEN MacBook Airs (at the newly-opened Broadway Apple store :D) with the money. Of course it didn't happen, but I was indeedly surprised that I got 6th.